Definitely on our food bucket list. 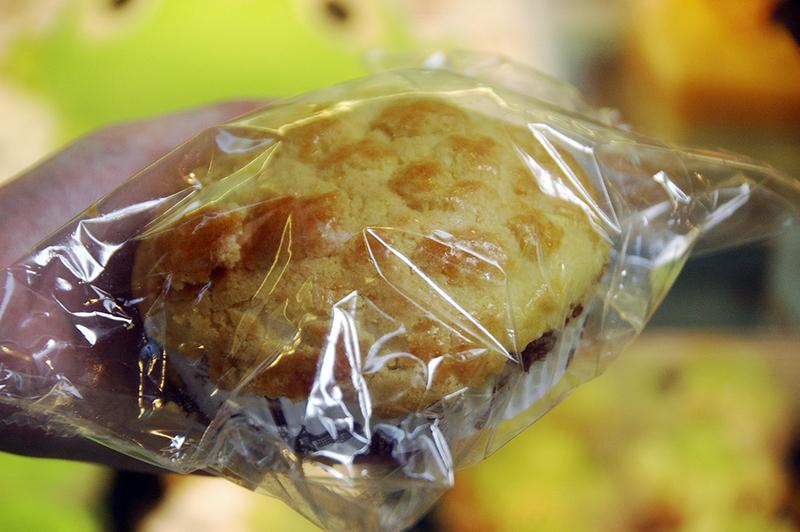 A staple snack from Hong Kong that has branched out to other parts of the world. 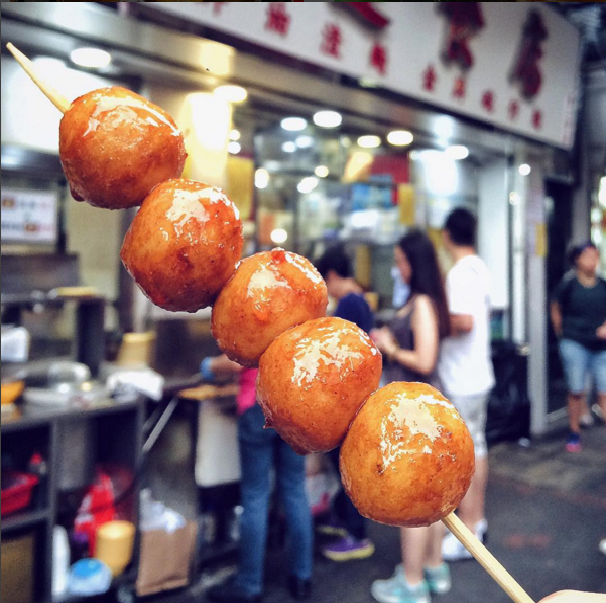 This is probably one of the most ubiquitous small bites that you’ll find, which is no surprise, as many people consider it the epitome of Hong Kong snacks. Nowadays, you’ll be able to find different flavor variations, such as chocolate and matcha. Often seen being sold alongside the egg waffle, this special combination of condensed milk and peanut butter waffle is a sweet and creamy heaven in your mouth. 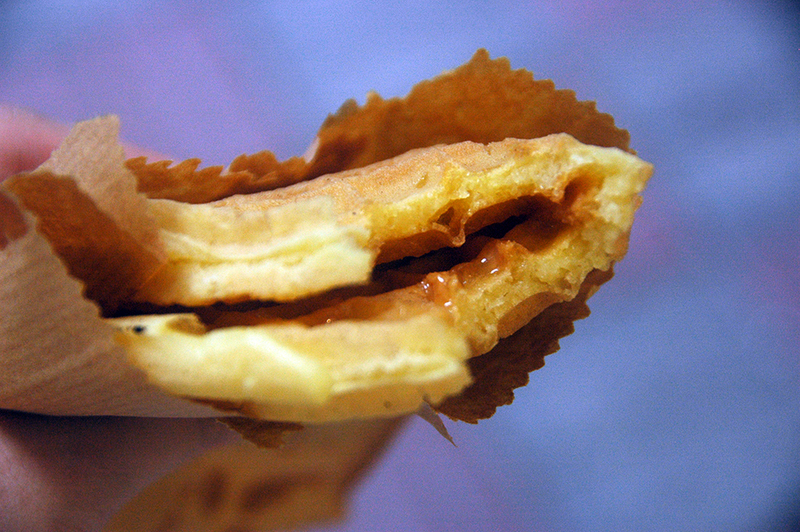 This fusion of the soft waffle and thick condiments is another local favorite. 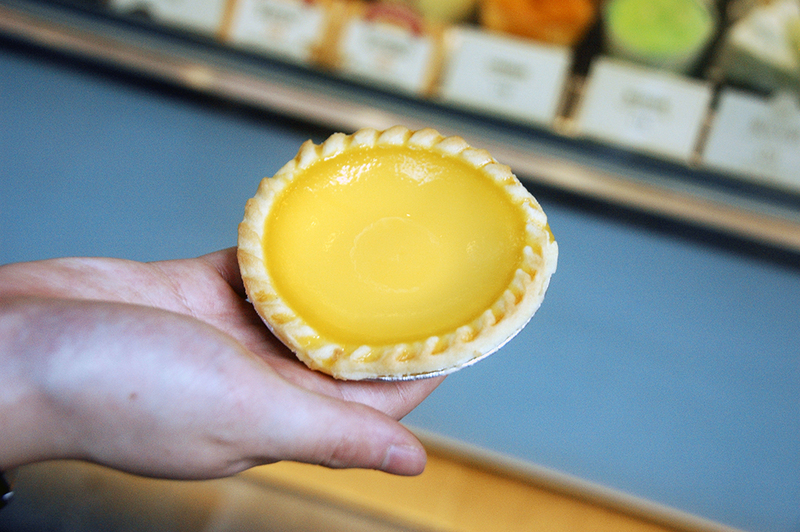 Introduced by Hong Kong style-tea houses in the 1940s, these delectable and bright tarts are a wonderful small snack to have – whether hot or cold! C’mon, how can you resist that crumbly crust or soft yellow goodness? 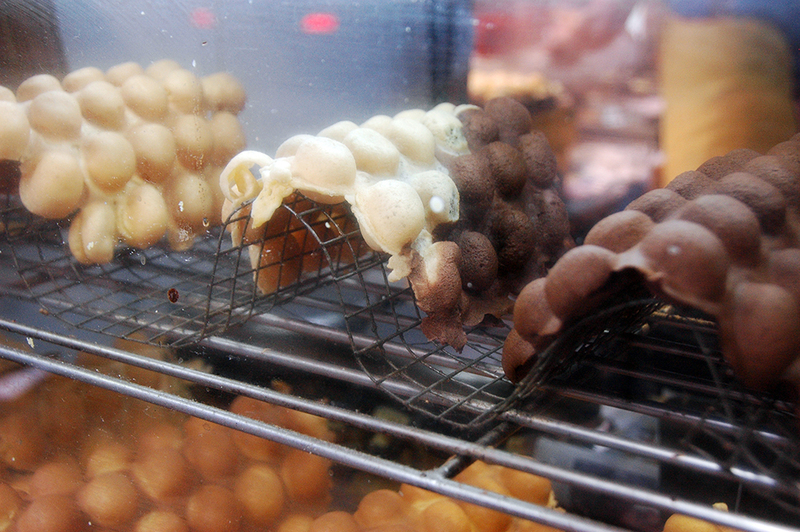 Traditionally served with soy sauce, these two dimsum foods are often offered together. 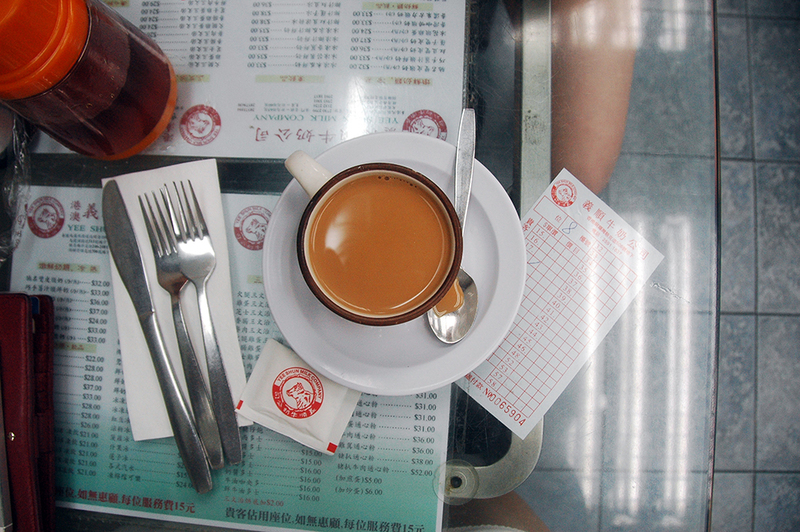 Living in such a fast-paced environment like Hong Kong, sometimes you just want a quick dimsum-esque snack on-the-go. What’s better than some Siu Mai and Curry Fishballs while on your way to work? There are different versions of the pineapple bun, a local favorite is the pineapple bun with butter (legit, this is to die for). This was one of my favorite childhood snacks, just picturing it now makes me think about the top delicate crumbly texture, followed by its light and sweet bread. You haven’t had good bubble tea until you’ve had bubble tea from South East Asia – and Hong Kong is no exception. I don’t what it is, but bubble tea from Hong Kong is the best. Maybe I’m being a little bias (probably), but why don’t you try it first and I’ll let you be the judge (trust me on this one). 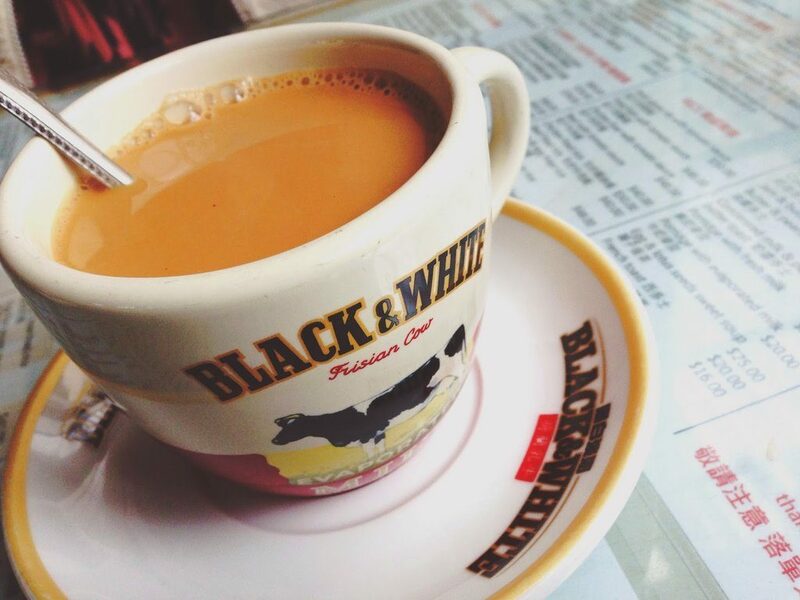 Yes, Hong Kong has their own take on milk tea, and it’s delicious. It has the perfect blend of “sweet, but not too sweet”. 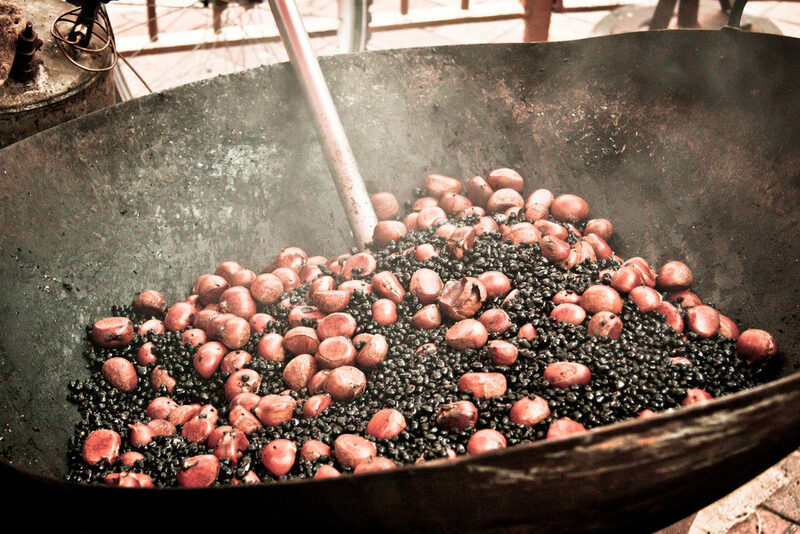 Only seen during Winter (or whatever Hong Kong considers as “winter”), you’ll see locals with large black woks roasting chestnuts and sweet potatoes. It’s a perfect snack to warm up your body when you’re walking around, and has a very tempting aroma when you walk by (you have been warned). Probably the most evil of snacks, this is definitely one of the top guilty pleasure snacks to eat. 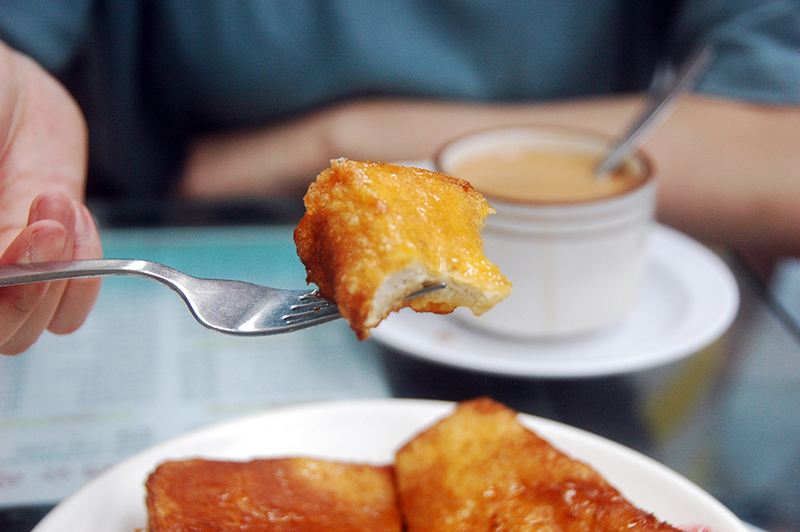 To put it in layman terms, it’s basically a fried piece of bread with butter and golden syrup. Simple snack, glorious taste. 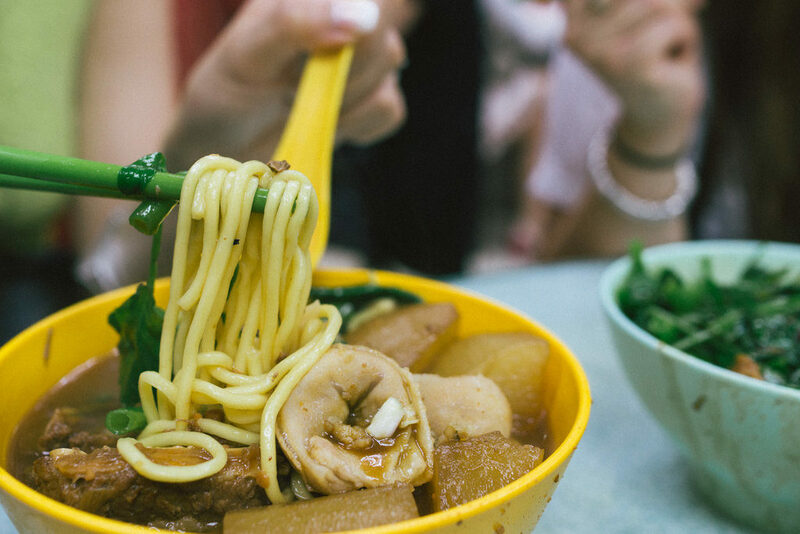 A popular snack meal choice which involves an array of different assorted vegetables, dumplings, noodles, soups, meats, and toppings. It’s like a smorgasbord of good food right at your fingertips. You pay for what you choose at an extremely affordable price. The best thing about Hong Kong and it’s local snacks is the fact that you could literally buy everything in the list within an hour, and it wouldn’t cost you over $23 USD – yes, I actually calculated it. So the next time you’re thinking of traveling to Asia (or unsure of where you want to travel to), I highly recommend coming to Hong Kong for its food paradise.